Are you an escape room enthusiast who can’t wait to try out the next good game? Do you enjoy state-of-the-art interactive entertainment with family and friends? Maybe you are a fan of narrative-based adventures, or just love challenging, fun puzzles. If any of these traits describe you, you will want to read on to find out how Epic Adventure Club, a membership program launched by Epic Team Adventures today, can redefine your entertainment experience. 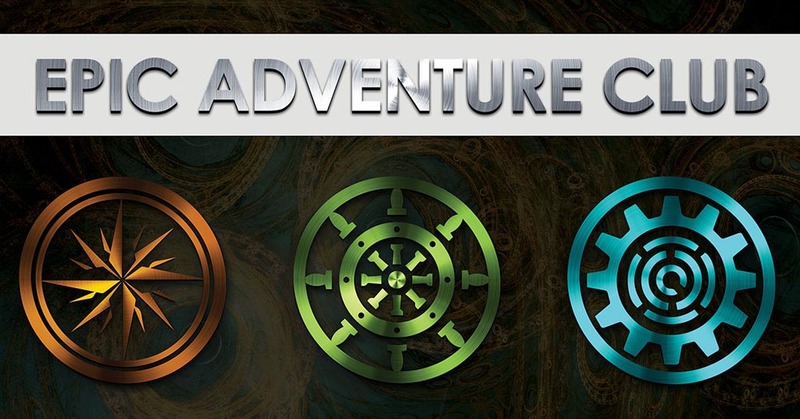 Epic Adventure Club is an annual membership program for customers of Epic Team Adventures, an adventure-room complex in Seattle, Washington. Members will receive discounts for admissions, access to online puzzle adventure series, early access to new adventures, and other exclusive offers. Membership does not renew automatically, but you may choose to renew. Explorer – This is our free membership to reward repeat customers. You can become a member by joining on our web site. Navigator (Limited Quantity) – One of the two paid membership options, the Navigator membership is a great value and offers a great deal of flexibility. All games during off-peak hours are free, and you can join friends to play on the weekend for only $10/session up-charge. Pioneer (Limited Quantity) – Pioneer memberships are for those who want the ultimate experience. Not only will you have access to all adventures during published hours (including peak hours), you also get discounted room-based pricing when you make group reservations. This guarantees you and your friends a private session even when your player count doesn’t meet capacity. Epic Team Adventures offers more than any ordinary escape room. With ETA, you can escape into realms of adventure. Through the use of Hollywood-quality sets, cutting-edge technology and seamless integration of theatrical effects, we transport you into narrative adventures that will keep you coming back for more. We view our rooms as worlds for you to explore and investigate, and we give you the tools to unlock their secrets. All you need to provide is yourself and a group of puzzle-loving friends. Star League: A series that puts you in the position of the crew of a spaceship taking on a number of challenging missions. Our online puzzle adventure series will give you the opportunity to dive into an adventure story at your own time and pace. There are two different tiers of online adventures – gold-tier and silver-tier, and we will have multiple series in each tier from which members can choose. Each gold-tier puzzle adventure includes an intro video and 10 puzzles with an overarching meta-puzzle. The first gold-tier adventure, The Paradox Engine, is a time- and dimensional-travel story, and will be available as the first adventures at ETA’s Seattle facility are open to the public. Our goal is to provide our customers with fully immersive adventures and to offer them exciting, challenging and rewarding puzzles. Our membership program is designed to give you easy access to any of these adventures you desire, but to also allow you to take the adventure home. Join Epic Adventure Club now at www.epicteamadventures.com/membership and start your adventures today!